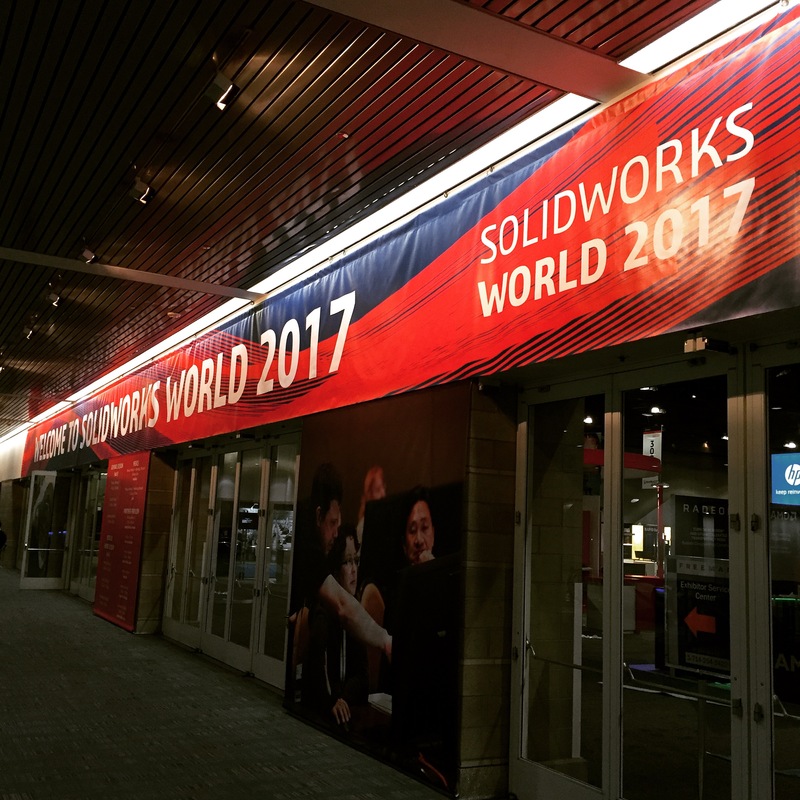 Normally, members of the Product Definition team at DS SolidWorks Corp give two presentations at each SOLIDWORKS World. Presentations can be either Hands-on or Breakout. Hands-on sessions involve attendee participation at desktop computers provided for the conference. Attendees typically follow and repeat steps shown by the presenter. Breakout sessions are essentially talks with demonstrations of functionality in SOLIDWORKS products. Sometimes our team gives extra presentations. There are cases where our hands-on sessions are very popular, so we add an extra hands-on session of the same material for the overflow. Other times, we give the multiple breakout sessions on various topics. On Tuesday, I gave two breakout sessions. The first one was planned and well-prepared about MBD called Model-Based Definition using SOLIDWORKS MBD. This session covered very general overview of MBD, ways to implement settings in SOLIDWORKS for the best MBD experience, SOLIDWORKS MBD tools (3D Views, 3D PDF Publisher, etc), and DimXpert. A lot of people attended this session. Though, I didn’t pack the house to the wall. 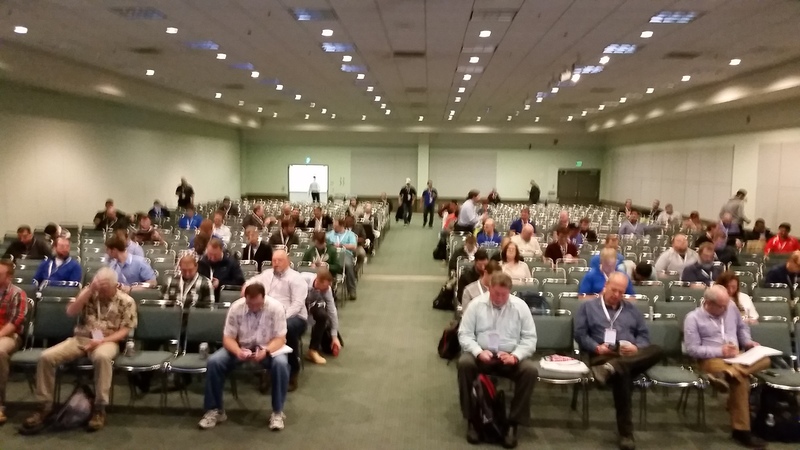 The second Tuesday breakout session, I presented on BOM’s, called Building SOLIDWORKS BOMs. Due to a cancellation by the original speaker, I had to step to not only cover the empty slot in the schedule, but also talk about BOMs without a prepared Powerpoint slide deck or file set. Since there were no materials for me to work from, I had to skip the Tuesday General Session to give myself time to pull together a session plan and file set. Given the circumstances, I believe I did well. I was able to cover many basics about BOMs, and also more advanced capabilities. Unfortunately, because the session was off-the-cuff, there is no Powerpoint outline to provide. The session was recorded, so it should be available as a video while the SOLIDWORKS Proceedings are available (soon). On Wednesday, I was part of the panel discussion about MBD. Five speakers participated in an engagement with attendees who are interested in MBD. This session was called SOLIDWORKS World 2017 MBD Learning Path Panel Discussion. Attendees asked about many MBD related topics, including STEP, real world implications, specific use cases, vendor adoption, etc.